A high-level, fully-integrated mobile medication station with lockable drawers replicates the realism of bedside medication administration for point-of-care delivery. The optimized design of SimCartRx™ Elite is heavy duty, yet elegant, providing comfortable and efficient operation and transport. Combined with our recording and debriefing system (ETC FusionHD™, not included), simulated medical record system (SimEMR®), medication administration software (MedsManager™, included) and performance assessment software (SimAssess™), SimCartRx™ Elite is an all-inclusive adjunct to clinical care as well as bedside practice. 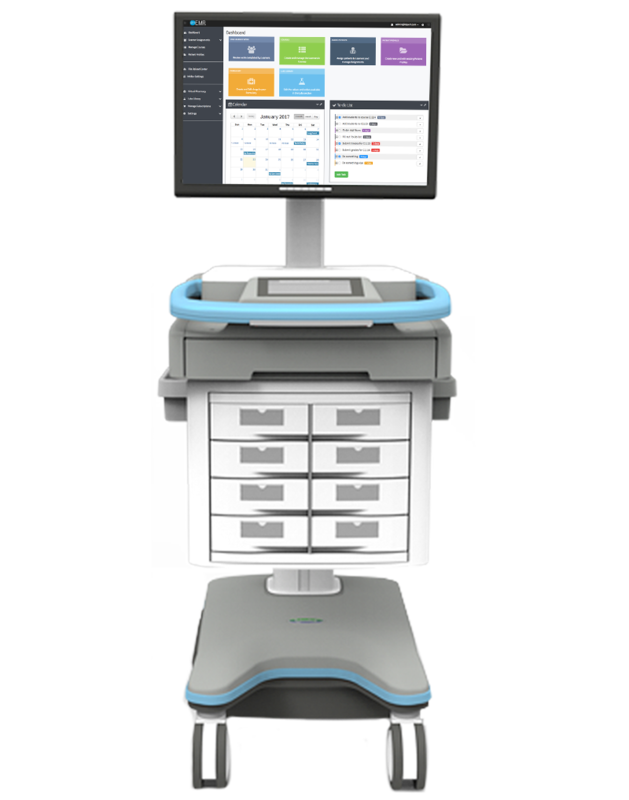 A high-level, fully-integrated, mobile medication station with lockable drawers, replicates the realism of bedside medication administration for point-of-care delivery. The optimized design of SimCartRx™ Elite is heavy duty, yet elegant, providing comfortable and efficient operation and transport. Combined with our recording and debriefing system (ETC FusionHD™, not included), simulated medical record system (SimEMR®), medication administration software (MedsManager™, included) and performance assessment software (SimAssess™), SimCartRx™ Elite is an all-inclusive adjunct to clinical care as well as bedside practice.